If you are not already on Pinterest, think about adding a focused board or two for your business. Pinterest’s largest demographic is 18-34 year old upper income women in America’s heartland (the Midwest – that’s us!). If your ideal customer fits this category, Pinterest may be a good match for you. 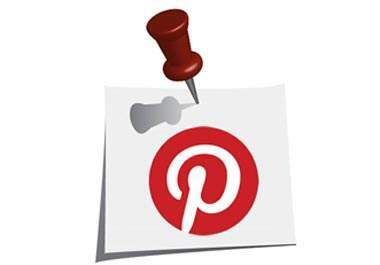 Most content on Pinterest also fits the correct lifestyle mold for your services. (beauty, fashion, entertaining, style, etc). Turn your Pinterest page into a mini-magazine for your customers to peruse. Keep an Ipad in your suite to show those photos and ideas from your Pinterest page and boards. This simple tool makes it easy to explain your concepts, esthetic, eyebrow shape, wedding up-do or mother of the bride make up. Don’t forget to use high quality photos. Create a number of well organized boards. One of the most popular re-pins are the ones that show the ‘before and after’, that goes on all day in your suite! Your Customers are on Pinterest! The Pinterest demographic are your customers. When your customers follow your Pinterest boards, you have a great opportunity to stay interactive with them, building loyalty! 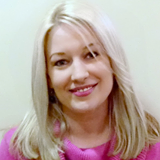 You can express a greater professional and creative persona too, which builds respect along the way. Once you have established a great board or two, promote! A Pin It button is an easy tool to install onto your website. 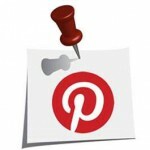 This will make it easy for pinners to pin great photos from your website onto their pin boards. Just copy/paste a short line of code onto your site and magically you’ve to created a Pin Button. This same button allows visitors to glance at what’s been inspiring you lately. Put up a Pinterest logo in your suite, avid pinners will take note and follow. Installing a Pin-It button on your browser makes your pinning days easier. Go to your Pinterest “Account Settings” link your Twitter, website, business Facebook page, and Instagram account. If you don’t have a Twitter, Instagram or Facebook Page for your business, this may entice you to start. These social networks can share your great style and information. Pin it once, use it many times. You get the biggest audience with the shortest amount of your time. We are always interested in sharing great ideas, so feel free to leave comments….